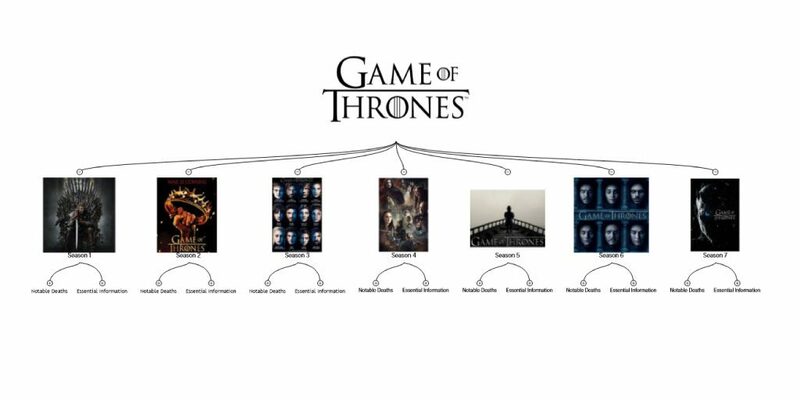 This mind map contains a synopsis of essential information in each season of Game of Thrones. Essential information is slip per character and contains notable deaths per season. This mind map contains spoilers! Don’t have MindGenius installed? No problem, simply start your free trial today to be able to download and open.